The latest and greatest feature for 3D printers – besides being closed source, having no meaningful technical specs, and being on track towards pulling in $10 Million on a Kickstarter – is automated bed leveling. This amazingly useful feature makes sure your prints have proper adhesion to the bed, reduce print errors, and put even inexpensive printers into the realm of extremely expensive professional machines. Automated bed leveling has been extremely hard to implement in the past, but now [Scottbee] has it figured out with a working prototype on his Makerbot Replicator 2X. Earlier attempts at automated bed leveling used some sort of probe on the tool head to measure the build plate, calculate its flatness and orientation in space, and compensate for any tilt in software. [Scottbee]’s solution to the problem took a different tack: instead of trying to compensate for any odd orientation of the build surface in software, he’s simply making the bed level with a series of springs and cam locks. [Scottbee]’s device levitates the build plate on three springs, and replaces the jack screws with three “gimballing pins” and pin locks. With the pin locks disengaged, the bed plate is pressed down with the printer’s nozzle. By moving the extruder across the build plate and locking the pins in place one by one, [Scottbee]’s device defines the plane of the build plate along three points. This makes the build platform parallel to the extruder nozzle, and also has a nice benefit of setting the distance from the build platform to the nozzle precisely with incredible repeatability. The mechanics of locking the three gimballing pins in place only requires a single DC gear motor, driven by an extra fan output on the Makerbot’s electronics. It’s simple, and with a bit of rework, it looks like most of the device could also be 3D printed. An awful lot of RepRaps and 3D printers out there already use three points to attach the build plate to a frame. With a little bit of effort, this same technique could be ported and made a bit more generic than the Makerbot-based build seen above. It’s amazingly simple, and we can’t wait to see this applied to a normal RepRap. Thanks [Josh] for the tip. 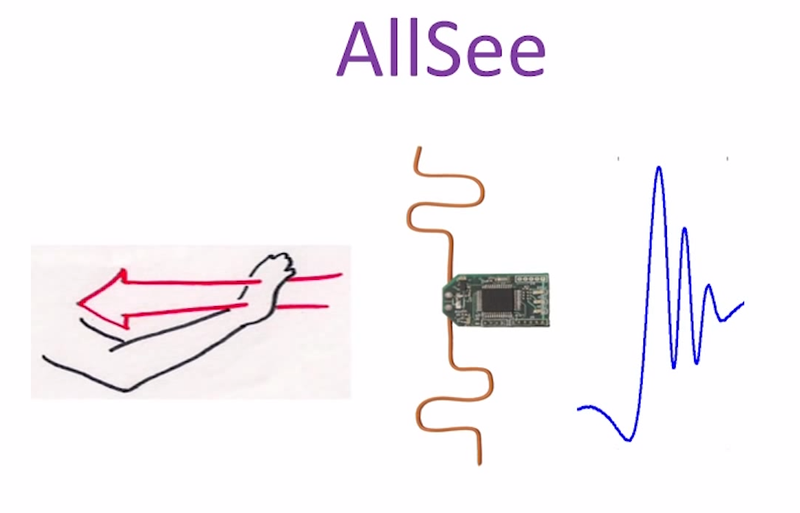 A team at the University of Washington recently developed Allsee, a simple gesture recognition device composed of very few components. 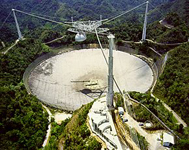 Contrary to conventional Doppler modules (like this one) that emit their own RF signal, Allsee uses already existing wireless signals (TV and RFID transmissions) to extract any movement that may occur in front of it. Allsee’s receiver circuit uses a simple envelope detector to extract the amplitude information to feed it to a microcontroller Analog to Digital Converter (ADC). 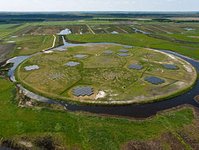 Each gesture will therefore produce a semi-unique footprint (see picture above). The footprint can be analyzed to launch a dedicated action on your computer/cellphone. 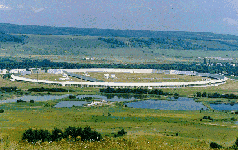 The PDF article claims that the team achieved a 97% classification accuracy over a set of eight gestures. Obviously the main advantage of this system is its low power consumption. A nice demonstration video is embedded after the break, and we’d like to think [Korbi] for tipping us about this story. With Easter just around the corner, [Windell and Lenore] over at Evil Mad Scientist Laboratories have come out with a new upgrade for their Egg-Bot. 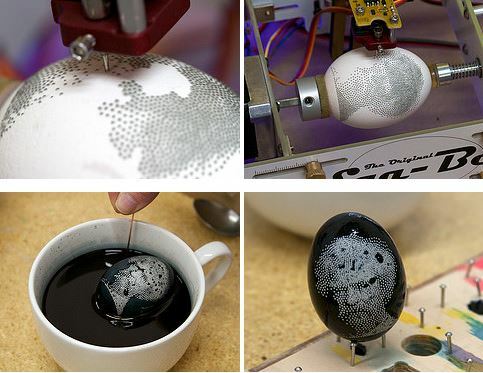 It’s called the Electro-Kistka and it allows your Egg-Bot to do wax-resist egg dying — in the same style as Ukranian Pysanky. This isn’t the first time someone’s strapped a kistka to an Egg-Bot, but after seeing how much fun their customers were having, [Windell and Lenore] decided to make their own. It consists of two main components, a heater assembly that attaches to the Egg-Bot’s arm, and a power control board. To apply the wax they are using a kistka tip (looks like a soldering iron tip with a hole through it) which feeds molten wax onto the egg through capillary action. It works almost exactly the same as the regular Egg-Bot arm, but allows you to dye your eggs with a very stark contrast as the wax repels dye perfectly. Just take a look at the following intricate designs.